At Hydrive Engineering GmbH, we work closely alongside our clients to develop new drive solutions that incorporate practice-oriented engineering expertise and the latest research results from various disciplines, including mechanics, electrical engineering, hydraulics and pneumatics. The use of state-of-the-art software tools, such as dynamic system simulation, enables us to validate designs at an early stage during concept studies, reducing the manufacture and assembly of expensive and time-consuming prototypes to a minimum. The realistic simulation models developed in this process not only have a wide range of practical applications but also give us an in-depth understanding of the system under examination, enabling the control software, for example, to be developed and tested at a much earlier stage. As a result, it is possible to substantially simplify the design of complex and costly drives, making them less expensive. 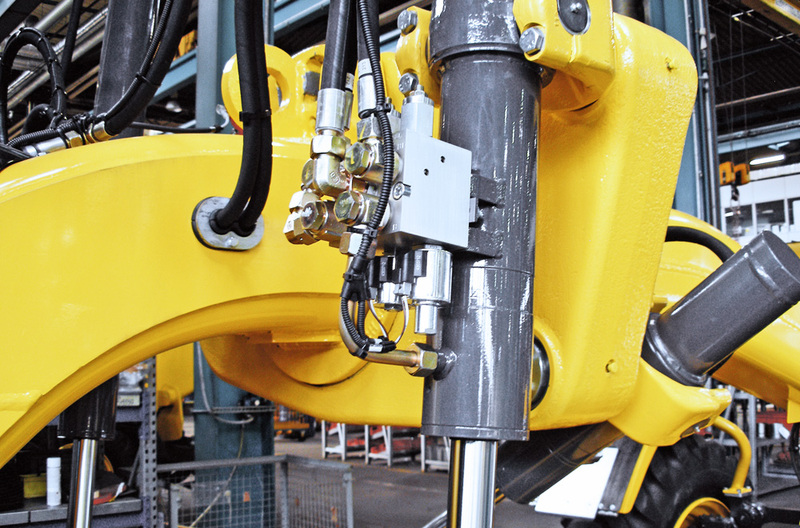 We support you to develop state-of-the-art, efficient drive solutions for your machines, whether they are mechanically, electrically, hydraulically or pneumatically driven. We supply you with everything from one source, from design to dimensioning and selection of components right up to complete CE-compliant documentation. We develop simulation models which describe the drive behaviour and process feedback of complete machines, selected subsystems or special components. Using powerful software tools such as SimulationX, Matlab/Simulink or AMESim, we develop simulation models not only of mechanical, electrical, hydraulic and pneumatic systems in 1D and 3D but also of control systems. We support you during the design phase of your new machine. Using suitable simulation models, we compare different solutions or test the basic viability of a new idea. We provide you with the key information you require for the detailed design and construction of your machines, eliminating the need to construct expensive prototypes. We develop detailed simulation models to calculate the characteristics of hydrostatic pumps and motors, thereby supporting the development work you carry out to increase the efficiency of your systems or improve control system dynamics. The valve plate of pumps and their noise characteristics can, for example, be optimised by calculating the pressure pulsation. We develop customised valve systems for special applications or for improving performance. We also analyse internal interactions using a wide range of simulation models. This look “inside” enables us not only to understand more fully the way a system functions but also to make selective improvements to the system. We support you in commissioning and testing your machines. This service not only covers preparing, planning and evaluating tests but also performing extensive machine investigations. Our expert interpretation of the measurement results will help you to identify malfunctions quickly and reliably. 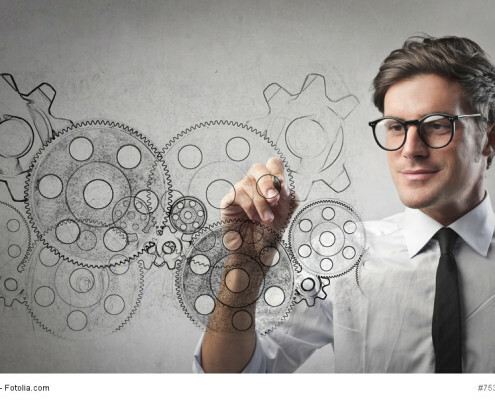 Simulation tools are widespread in everyday industrial development processes. However, they will only make a useful contribution to development tasks if used effectively. Hydrive combines a methodical approach and outstanding technical knowledge with skilled use of tools to provide its clients with customised simulation services that enable products to be developed quickly and effectively. 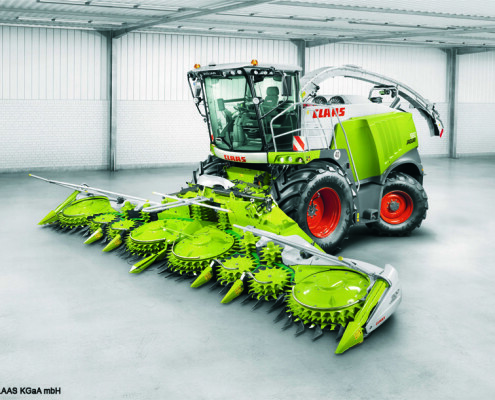 Hydrive has set up a Hardware-in-the-Loop test bench for a forage harvester by Claas Selbstfahrende Erntemaschinen GmbH. Over 1,000 tests have been programmed so far and can now be performed automatically on each piece of new software. 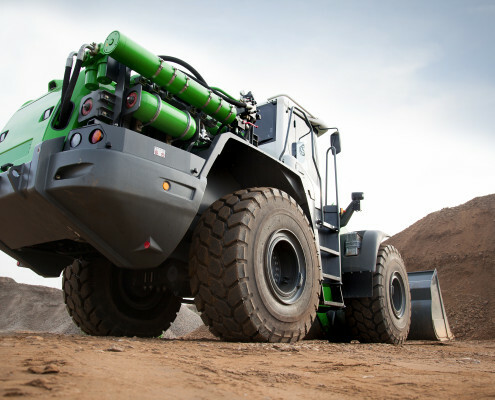 Implementing energy-efficient drive technology in mobile machines reduces fuel consumption, cutting costs for users. To ensure acceptance, these new drive technologies must maintain the same standards of operability and machine performance that users are used to. This represents a huge challenge in terms of developing the control system, as in-depth understanding of machine behaviour and drive technology is required.